"A killer jaguar, a zoo on a pyramid, a boy with a stutter who can talk to animals--this powerhouse novel doesn't only tread the line between fantasy, action/adventure, and historical fiction, it dances on that line with wild abandon. 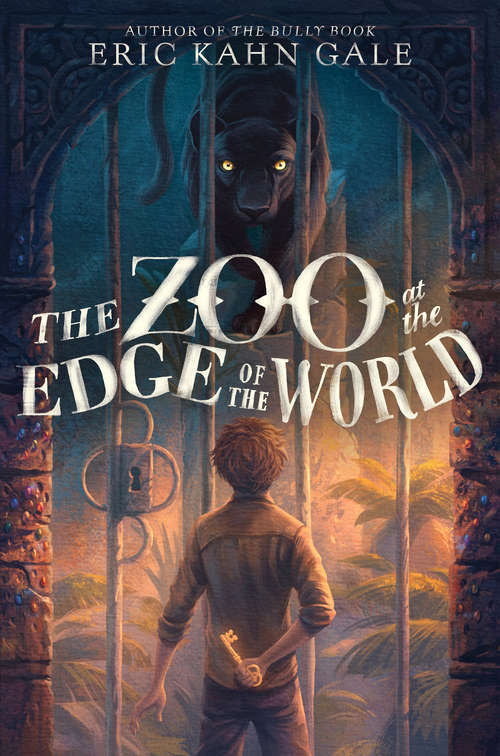 Magical, mysterious, fresh, original, and full of heart, Eric Kahn Gale's The Zoo at the Edge of the World will keep you at the edge of your seat." --Peter Lerangis, New York Times bestselling author of The Seven Wonders and The 39 Clues seriesMarlin is not slow, or mute; what he is is a stutterer, and that makes it impossible for him to convince people otherwise. What he is also is a Rackham: the youngest son of the world-famous explorer Roland Rackham, who is the owner and proprietor of the Zoo at the Edge of the World, a resort where the well-to-do from all over the world can come to experience the last bit of the wild left in the world at the end of the nineteenth century.In order to impress a powerful duke who comes to visit the zoo, Marlin's father ventures into the jungle and brings back a mysterious black jaguar, now the only one in captivity. Everyone is terrified of the jaguar, including Marlin--until one night, when the jaguar confers upon him a powerful gift. Soon Marlin finds himself with a difficult choice to make and, finally, something to say. If only he can figure out how to say it.